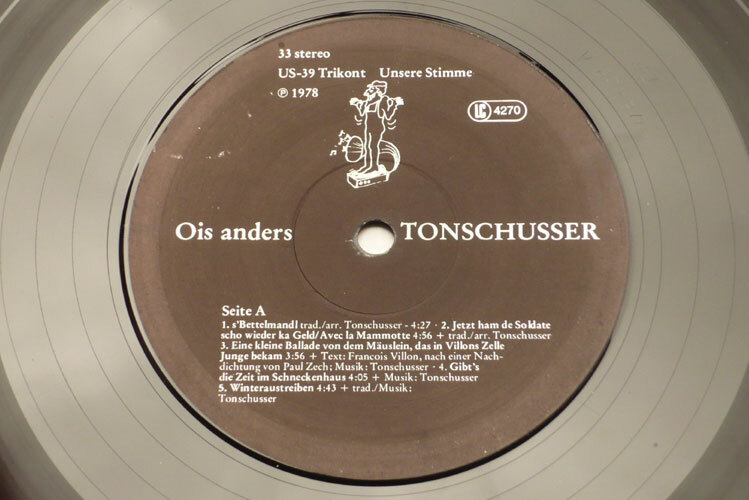 Though they also appeared on several compilations, this is Tonschusser‘s unique LP, released in 1978 by Trikont Kooperative, aka Trikont, a key folk music record company from München – I posted the Accordions Go Crazy LP from this label. 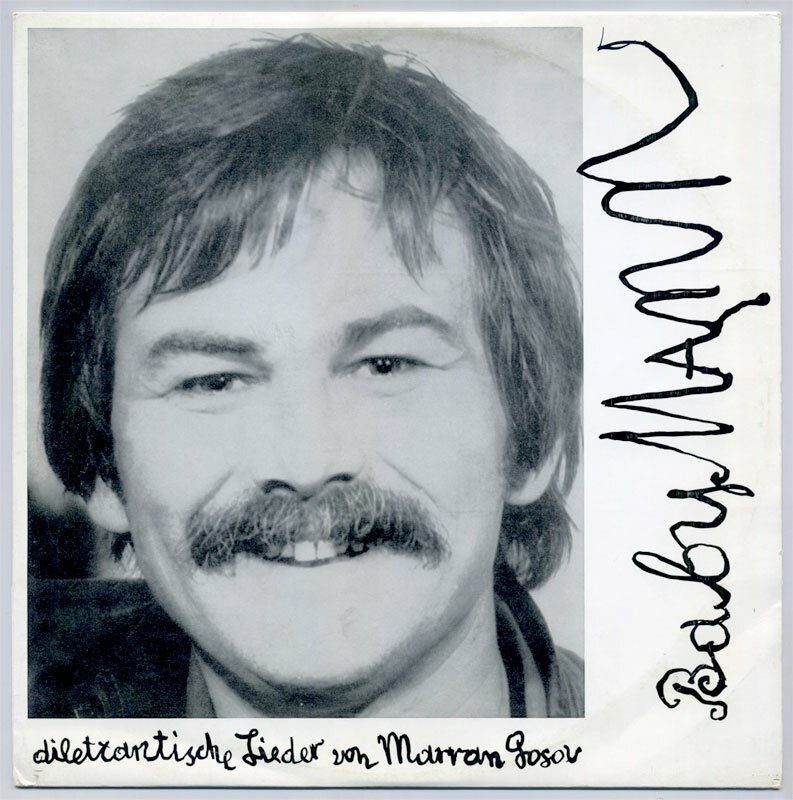 Founded by Achim Bergmann in 1971, Trikont Kooperative first distributed Marxist/Maoist books before turning to German and international folk music releases – a bit like Wagenbach, see previous post. 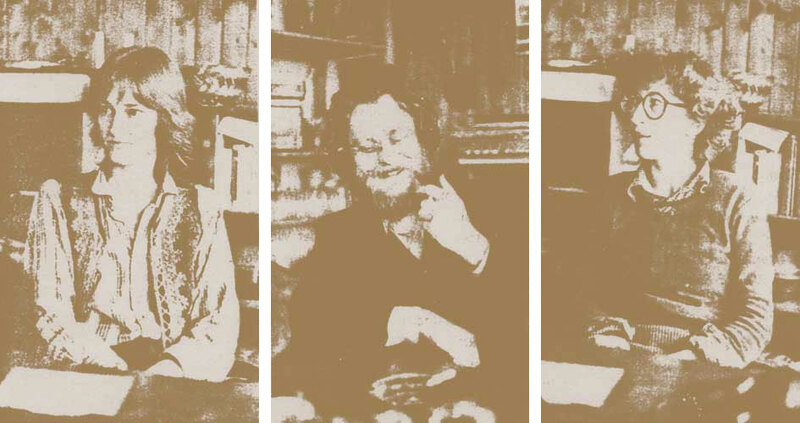 Swiss label VoxPop was also very active on the folk scene of the 1970s with some records produced by Bruno Spoerri. 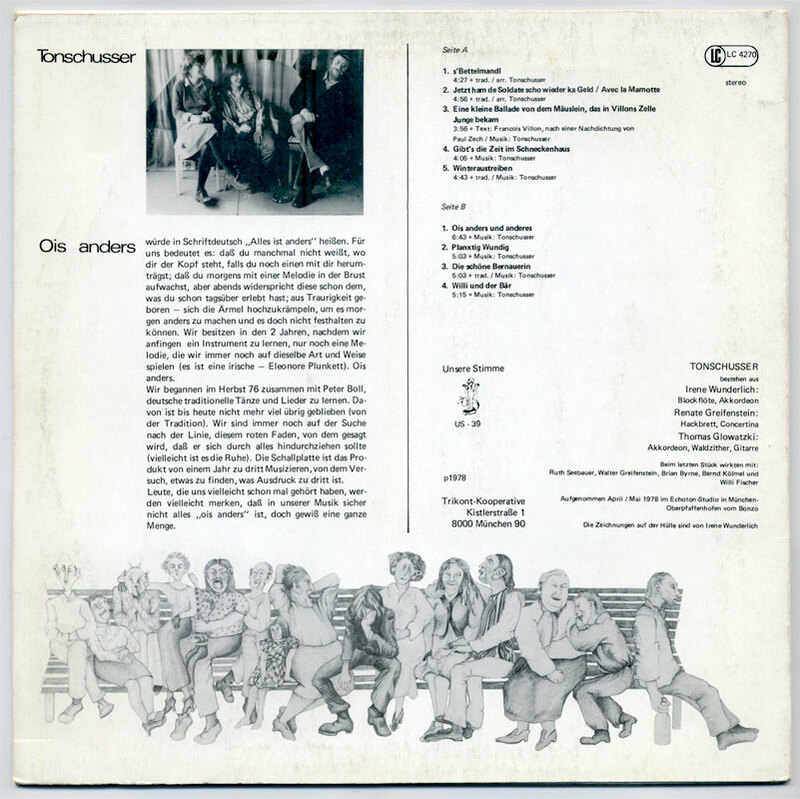 Tonschusser was part of the German folk revival of the 1970s with bands like Moin, Wacholder, Fiedel Michel, Folkländer, Holzrädchen, Liederjan, Elster Silberflug, etc. The scene was promoted through festivals like the 1973 Eckernförde Folk Festival or the 1976 Lenzburg folk festival in Switzerland. ♫ Tonschusser is a trio playing an unusual instrumentation including German traditional and folk music instruments like the hackbrett, a kind of hammered dulcimer, or the waldzither, a kind of cittern. The trio’s sound is indeed rather peculiar, based on high notes and eerie resonances from the juxtaposition of stringed instruments with special tunings. The other instruments are flute, accordion, acoustic guitar and concertina, with all members performing rare vocals and Thomas Glowatzki reciting poetry on some tracks. 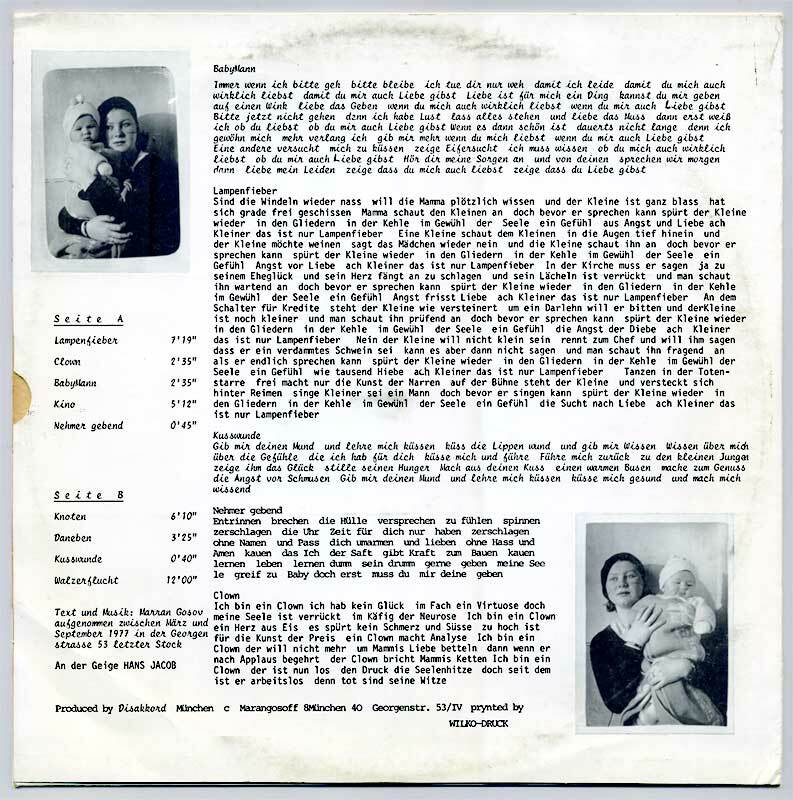 Lyrics are in Schriftdeutsch, a local, old German dialect found in Switzerland and southern Germany. These mostly instrumental compositions are new creations based on traditional folk melodies to which Tonschusser provide dreamy arrangements, tender undertones and a sacred, ceremonial dimension. They put mystery back into these folk tunes and a track like #5 Winteraustreiben has echoes of Ancient Greek music as well. A skeletal rendition of a song played on one instrument at a time, Ois Anders und Anderes (tr. #6) is a melody passing from one instrument to the next, a bit like in Klangfarbenmelodie. 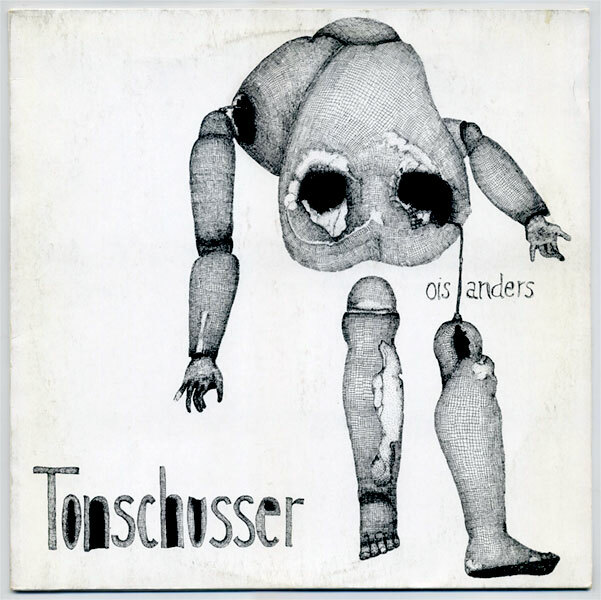 This track also sounds like a collage of various melodies, thanks to the way Tonschusser typically add a coda or insert new sections to a traditional tune, embedded in the song itself. Occitan singer/songwriter J.G. 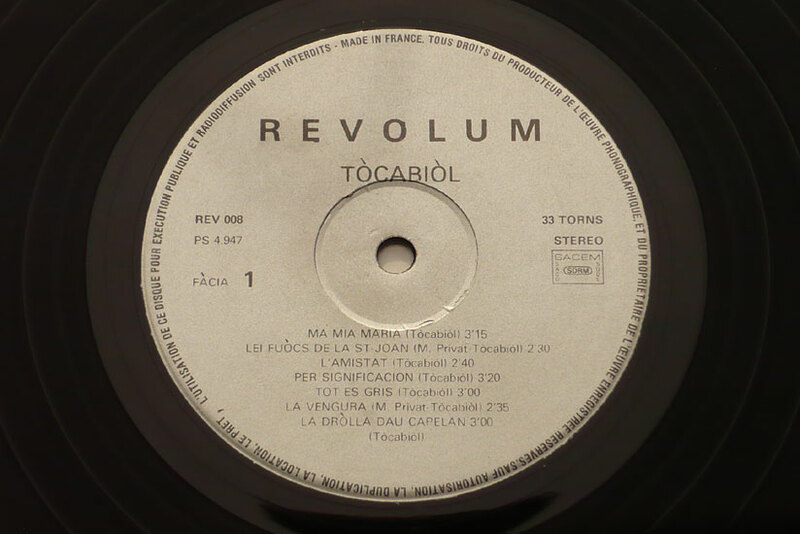 Tòcabiòl made two LPs for French Revolum label, run in Toulouse by Rosine de Péira since the mid-1970s. 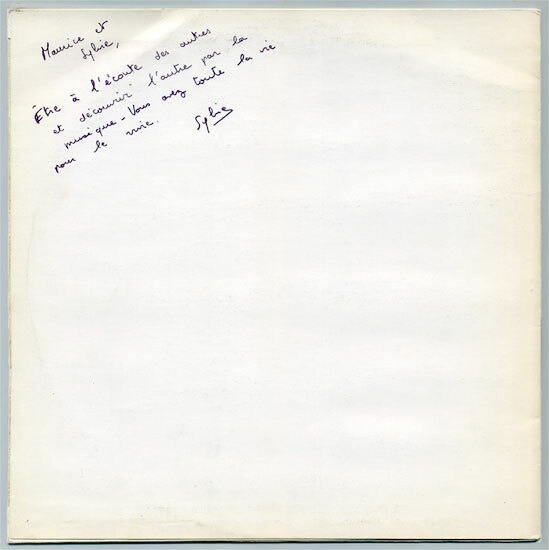 The first one, Es el… es ela… (It’s Him, it’s Her…) in 1977 and a second one, Belèu (Maybe), in 1978. Along Ventadorn, Revolum was the leading publisher of Occitan music in France. They issued various folk and protest singers, as well as the incredible Riga Raga LP I posted earlier. 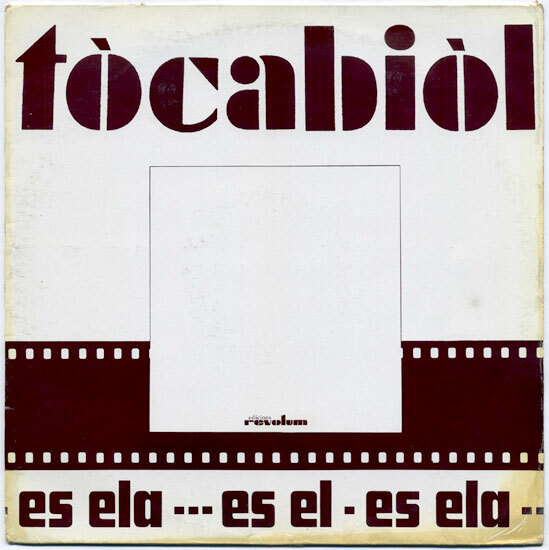 Thanks to a team of fine backing musicians, Tòcabiòl’s debut updated the Occitan folk medium with Frippertronics on guitar, synthesizer sound effects and sinuous electric organ parts, with a style that was both lyrical and progressive. ♫ Though the first tracks stay close to traditional acoustic folk, the inclusion of oboe – played by Vincent Penchinat – and harpsichord sounds on electric organ bring these humble folk tunes into chamber music territory. 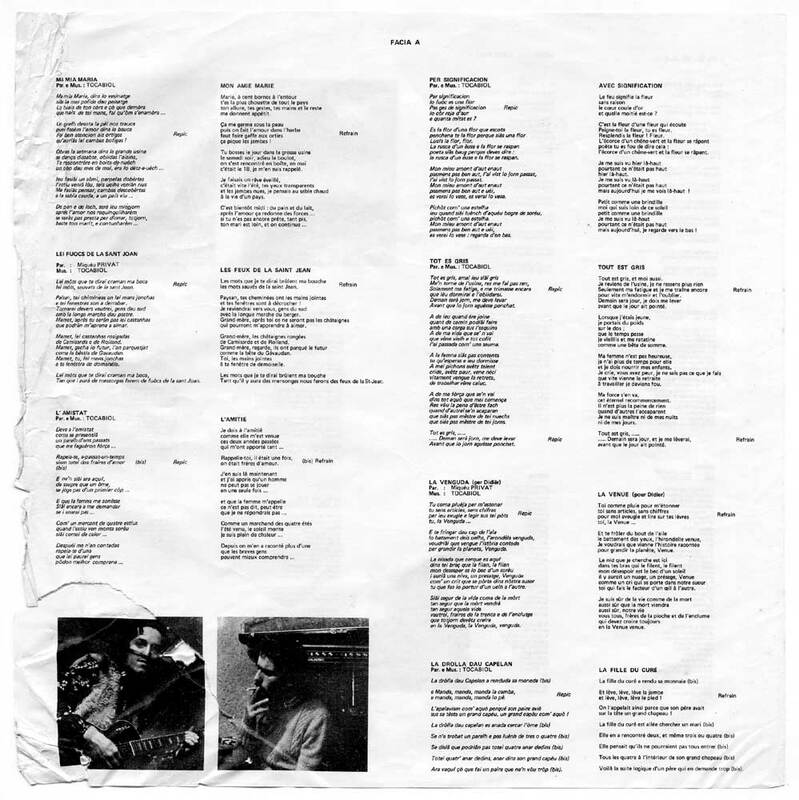 Track #3 L’amistat is exquisitely balanced between accordion and acoustic guitar, with nothing else in between, which is typical of this LP’s minimalist arrangements. 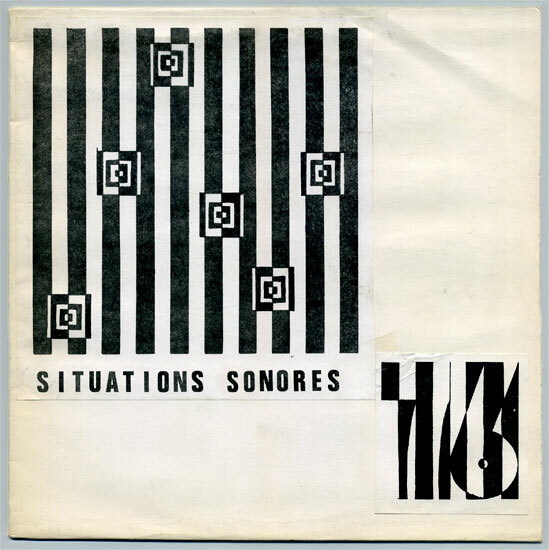 Bass guitar appears on #4 Per signification, along soft synthesizer portamento notes in the background. 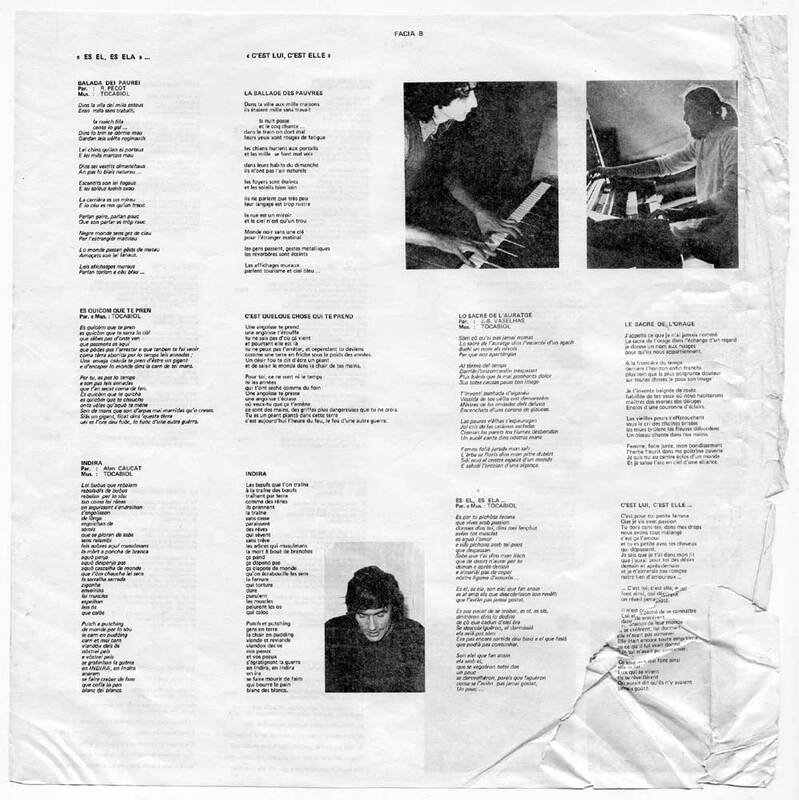 When we reach #5 and 7, the synthesizer takes the lead and drives a pair of infectious, off-kilter tracks with duck’s quack sounds, announcing the weird arrangements of the B side. The epic 19mns title track starts with electronic beeps, progressively joined by bass guitar and organ accompanying Tòcabiòl’s voice. The track goes through various phases and instrumental passages with an instrumentation and magical organ sounds that recall Bo Hansson’s Lord of the Rings, 1972. When the Fripp-ian guitar enter, Es el, es ela… has already derailed from the folk idiom confort zone to enter experimental rock territory. Unforgettable. There was a CD reissue at some point with 5 extra tracks, but it seems to be even rarer than original LP copies! 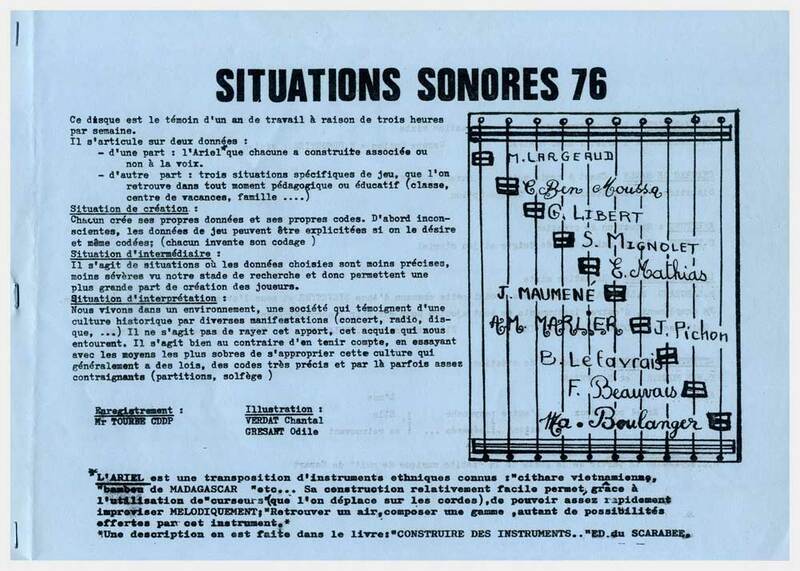 Another improbable record from the Kiosque d’Orphée catalogue, Situation Sonore ’76 is an (almost) all-women collective music project exploring stringed instrument resonances, Eastern music references and folk songs. The group of 10 women and 1 man held weekly rehearsals during one year to improvise and explore their instrumentarium, especially the self-build instrument called the Ariel, with movable frets under the strings to alter pitch (see picture below). I assume the concept stems from French educational circles, which were fond of the instrument during the 1970s, thanks to several books on collective music and self-build instruments available to educators. ♫ The string instruments’ timeless beauty combines with the amateurism of the interprets to conjure touching melodies, be it traditional folk tunes or collective, spontaneous compositions. Apart from the Ariel, other instruments used on this disc include Jew’s harp, acoustic guitar, sitar and the occasional percussion. On several occasions, the ensemble gathers in a chorale to perform a traditional song or wordless improvisation. 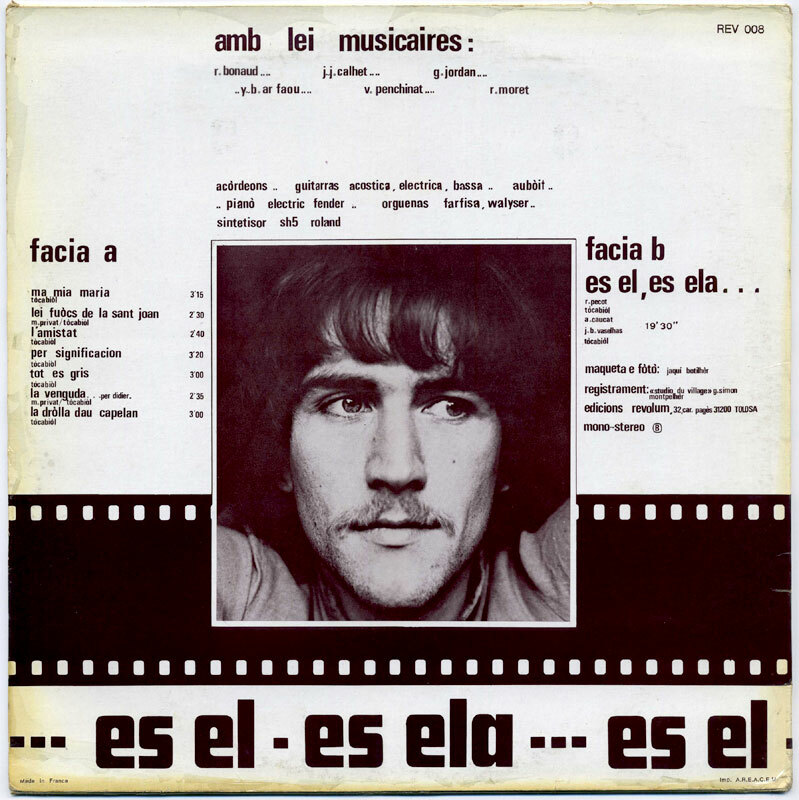 The Riga Raga project was launched by writer, poet and musician Claude Sicre and ethnomusicologist Luc Charles-Dominique in Toulouse in 1977. Their music blends 13th century Troubadours’s songwriting style named Tenson (a poetic duet with Question and Answer parts), with Occitan language and folk instruments. Claude Sicre’s originality was to add Brazilian percussion style from the Nordeste area and radical use of traditional instruments from the South of France. A strategy perfectly exemplified in his duo with Ange B. 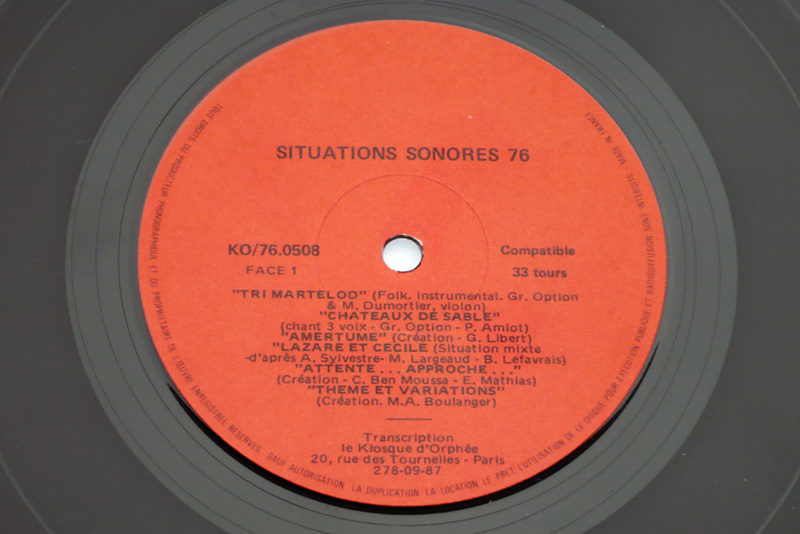 (aka Jean-Marc Enjalbert) called The Fabulous Trobadors (first CD: Èra pas de faire, in 1992). 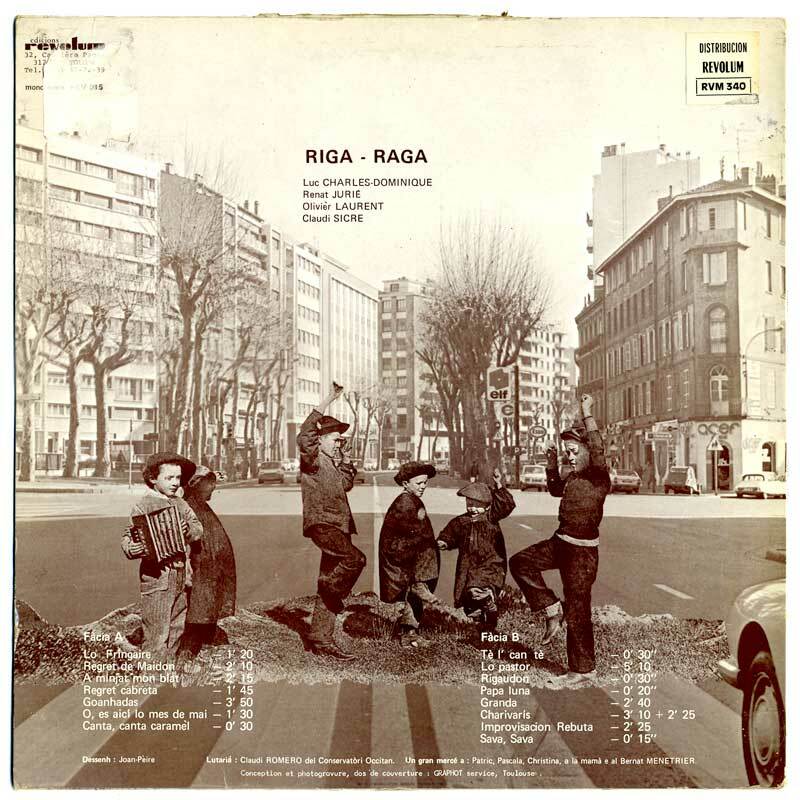 The Riga Raga other members were ethno-musicologists, revivalists and local musicians from the Toulouse area. There is a political message in their refusal of traditional folk music, as they consider the latter a downgraded version of grass root traditions. The music on this LP is quite radical in its use of the folk music idiom, in the variety of instrumentation (jew’s harp solos, weird percussion instruments, small bagpipes, whistles, etc). Sounds at times like pygmy chanting, later like a Biota unplugged improvisation session. Vocal acrobatics include: singing with one’s nose pinched, singing while playing the jew’s harp, dialogue with a barking dog, to name but a few. 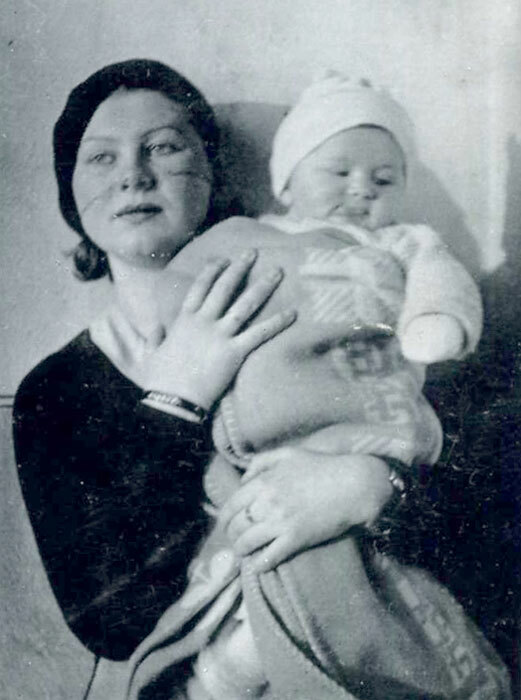 ‘Riga Raga’ is the Occitan word for wooden rattle. Other instruments include: 2 flutes played simultaneously ; brau (or pignato), a percussion instrument ; cabrette (small bagpipes) ; rebuta, a jew’s harp ; stones used as percussion instruments ; ferrat, a water bucket played with a bow ; wooden whistle, etc. Expect weird sounds, hardly sounding like folk music at all.